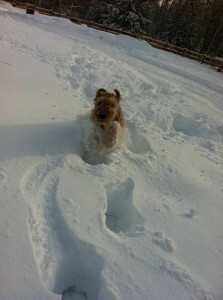 Buddy & Oakley: Another AireCanada Success Story! Buddy & Oakley were adopted about two years apart by a wonderful family who live in BC’s Cariboo region. 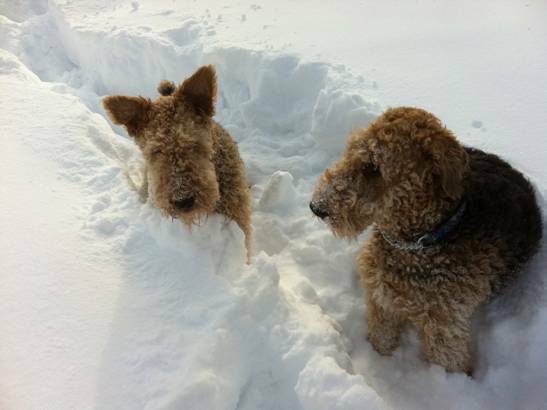 Very Airedale experienced, they welcomed the quirky Oakley first to their home and, this past year, added Buddy as well. These dogs have both become 4-H projects for the teenagers in the household who are working successfully to teach obedience to their companions. While living on a small farm keeps these two very busy organizing the chickens and smoozing with the horses, they still find time to play and have fun! These two are the luckiest of dogs and it appears they know it! 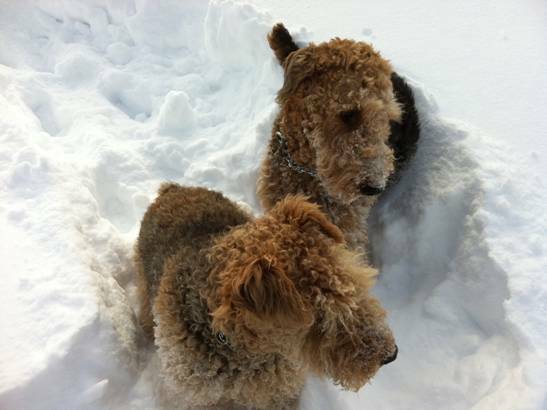 Our thanks to their adoptive family for the care and love they have lavished on these two rescued Airedales. This absolutely warms my heart!!! I love the candid snow photographs. Happy pups – what treasures and you are so fortunate also!